tell us more about your role as the CEO of IPOS? protection more affordable, especially for start-ups. part of the overall business strategy. Singapore as a node to connect innovative companies to regional markets. you see IPOS playing in Singapore&apos;s bid to become a Smart Nation? will fundamentally change what is valuable in our companies. assets such as brands, content, proprietary technologies, data and platforms. attempting to contribute to this at several levels. regulations will support our entrepreneurs and innovators. Razer are world-renowned and command strong valuations. the launch and the plans for the fund going forward? resources and property, rather than on innovation. 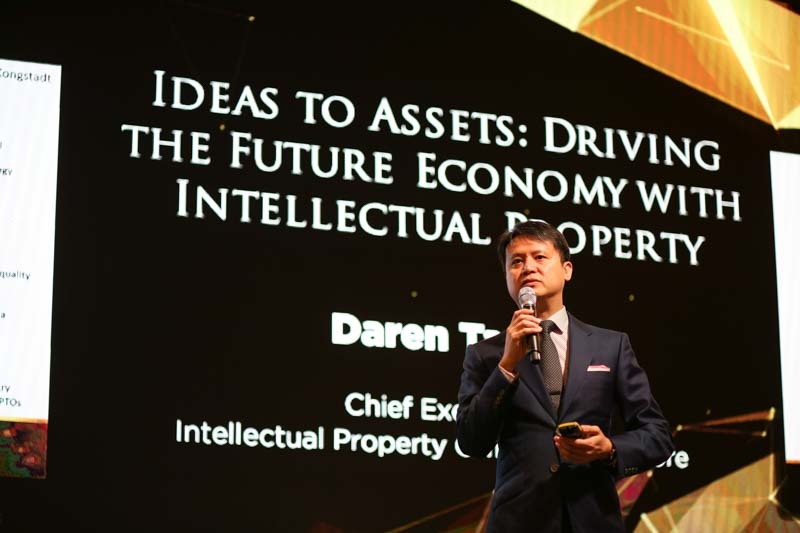 companies use IP to drive enterprise growth. growth and expansion through IP. other public agencies to address this gap? sense of community and collaboration across these agencies. lays down guidelines on how government agencies should manage government IP. and become experts in helping their IP create genuine market impact. professionals in the IP industry? whose business model is centred around technology, brands, designs or content. of skills relating to IP and innovation management. creations into products and assets. for working adults who will remain gainfully employed throughout the course. real problems, rather than just knowledge transfer. so far and how you see Singapore contributing to the global copyright system? archives, libraries, to name a few. remain even more relevant to the international community. 2017, Singapore is ranked 6th globally.